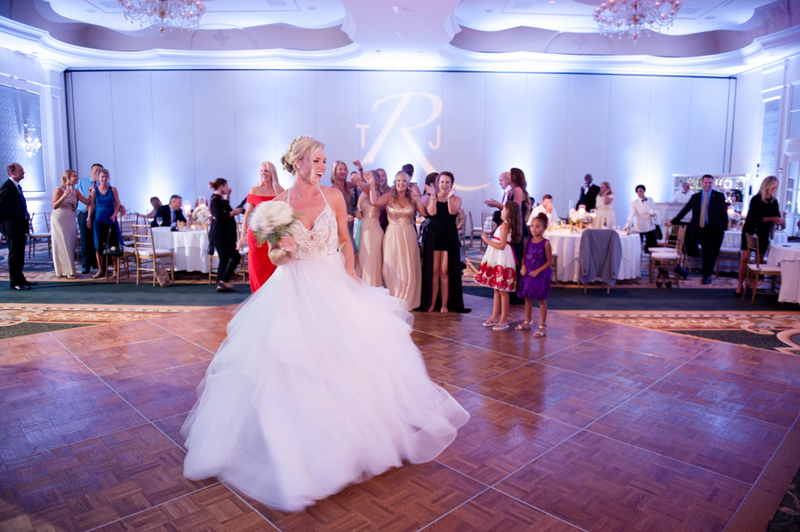 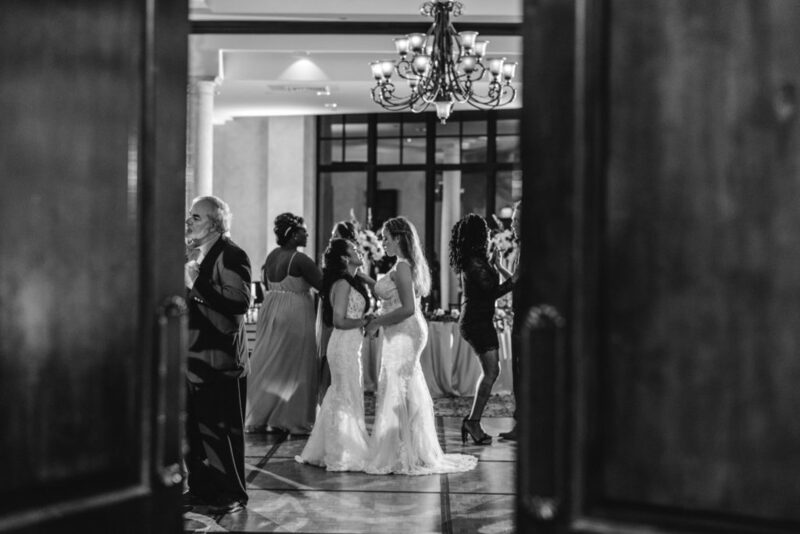 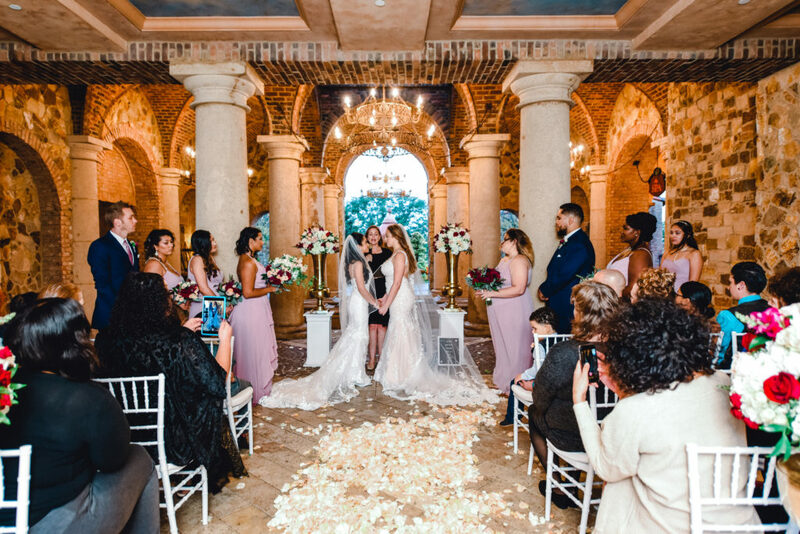 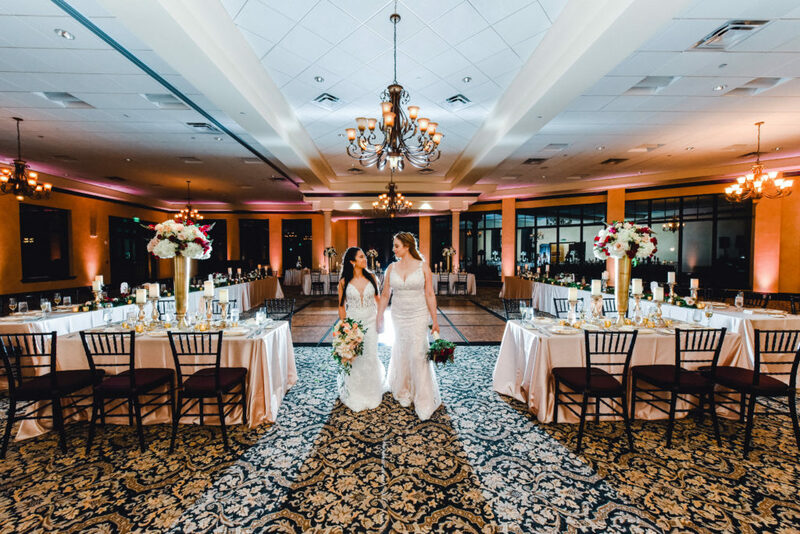 Jennifer and Synthia were married in the atrium of Bella Collina in front of their closest friends and family. 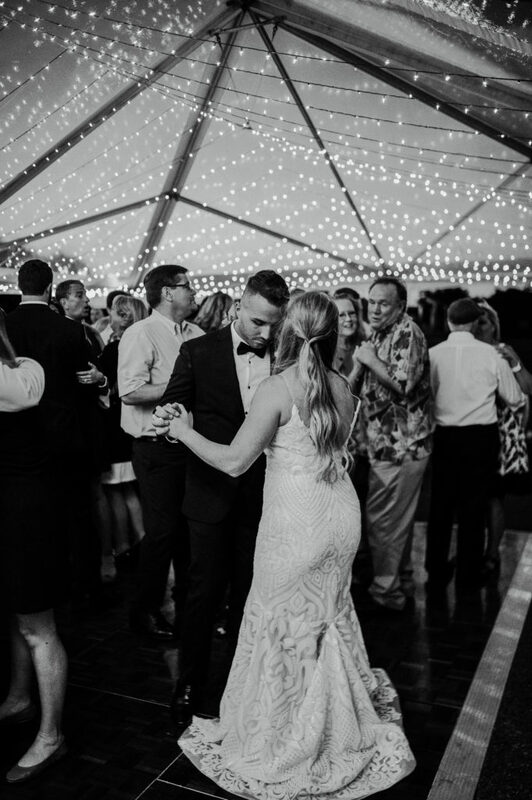 They both wore gorgeous long white dresses and were so in love you could feel it through the whole room. 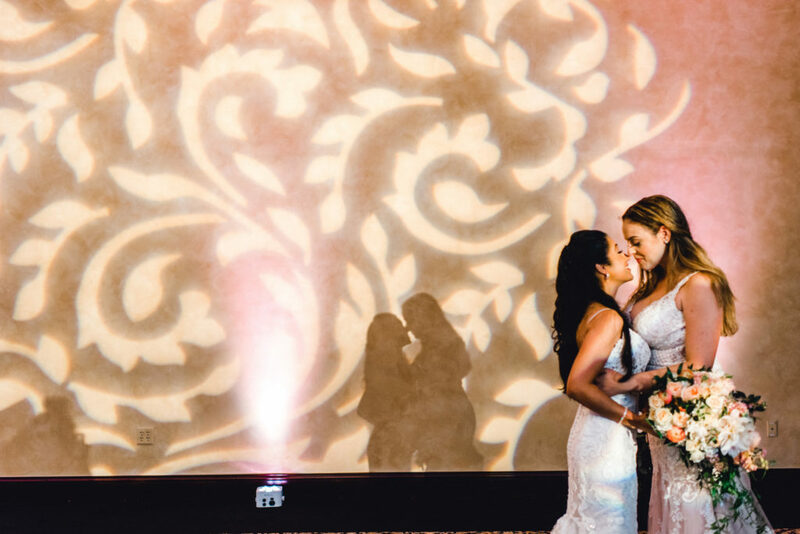 Below is some of our favorite photos of the day. 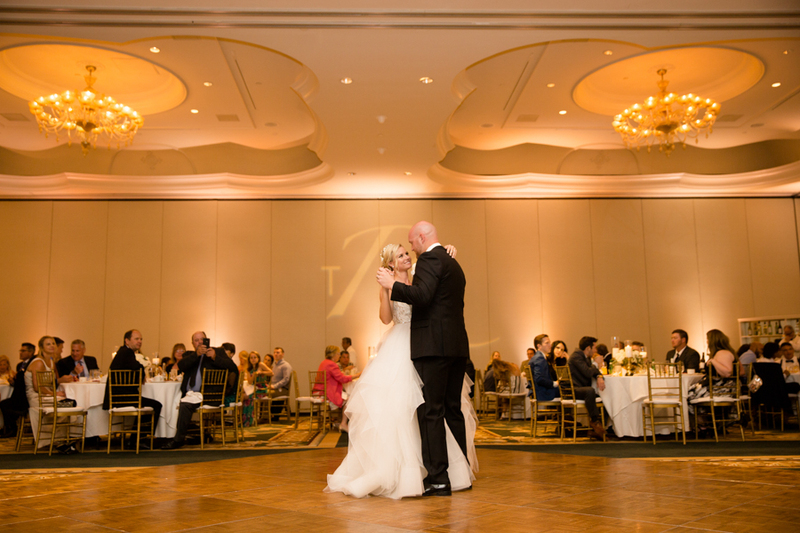 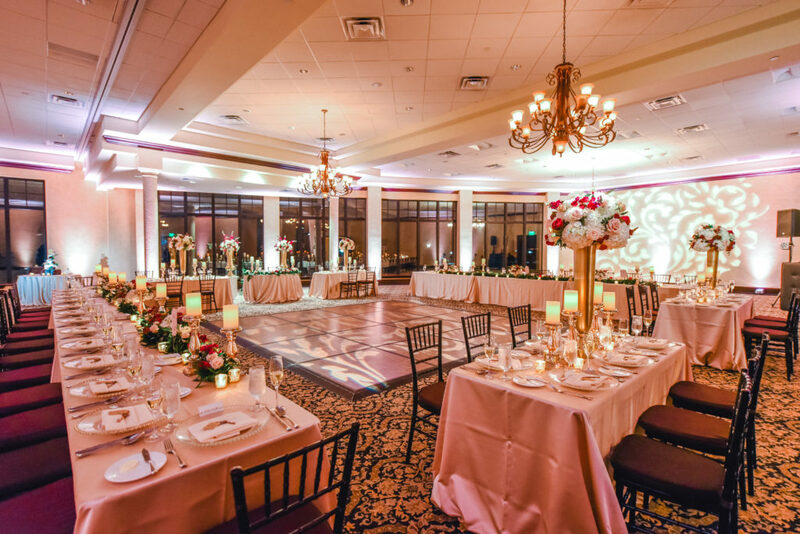 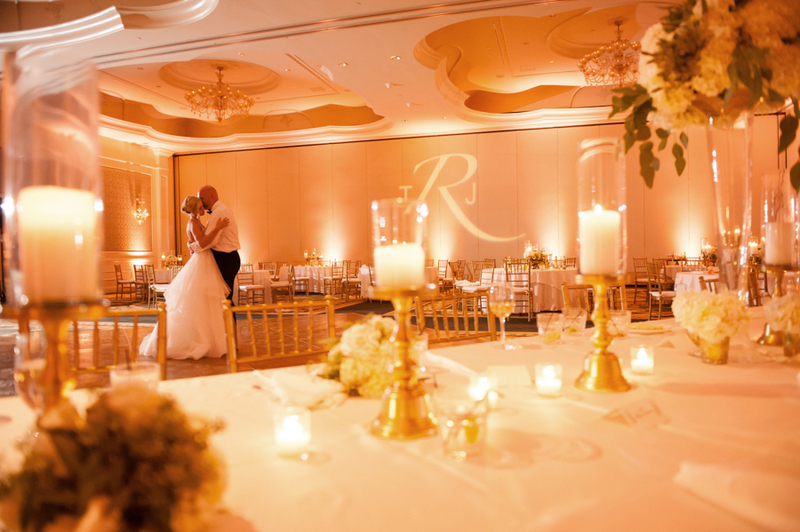 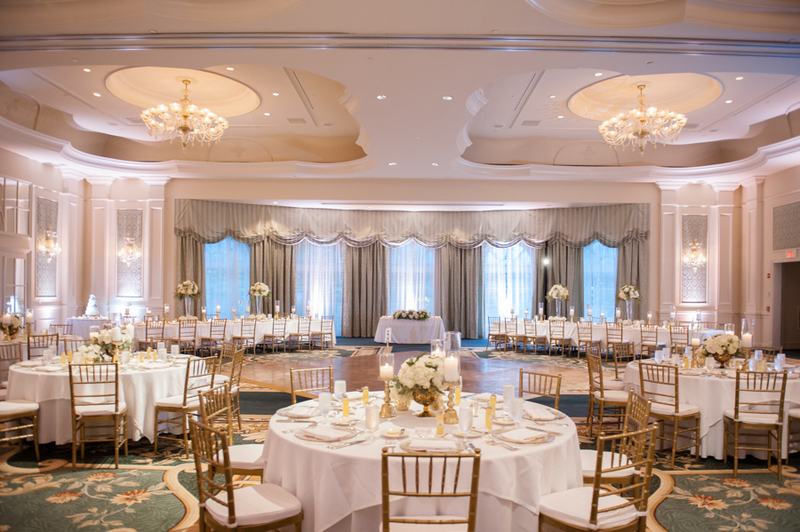 They chose uplighting and textures for the side walls and dance floor in Bella Collina’s grand ballroom. 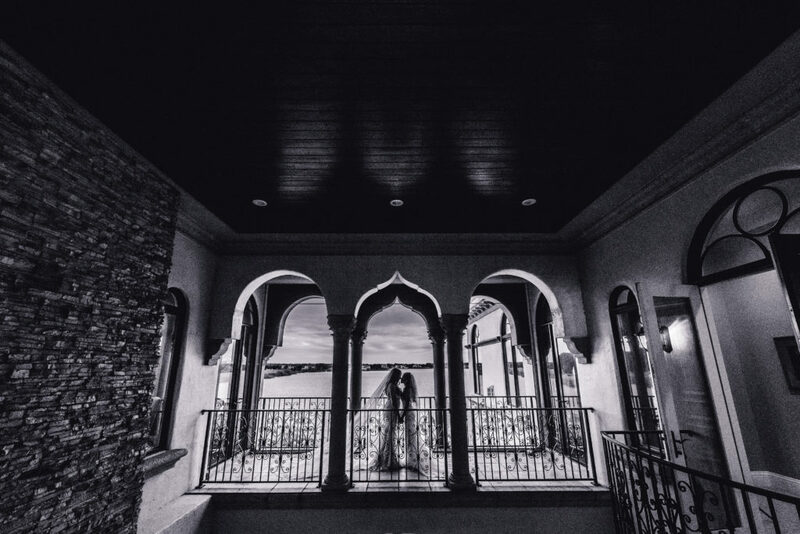 So in love with these textures! 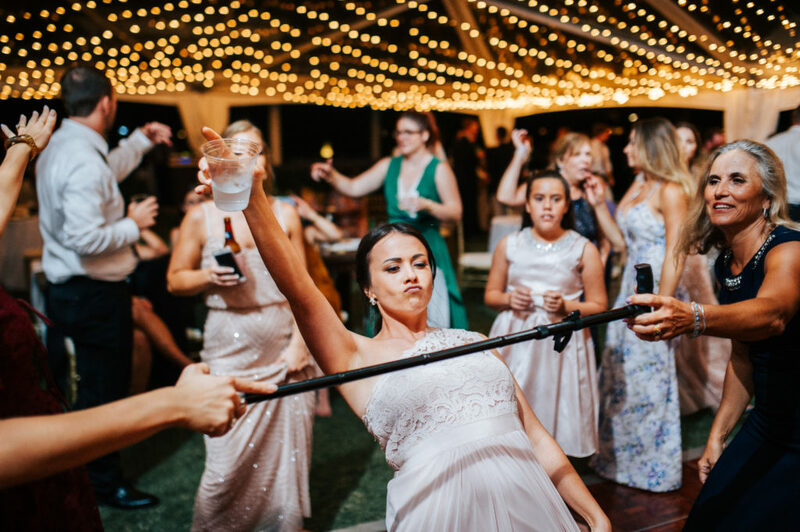 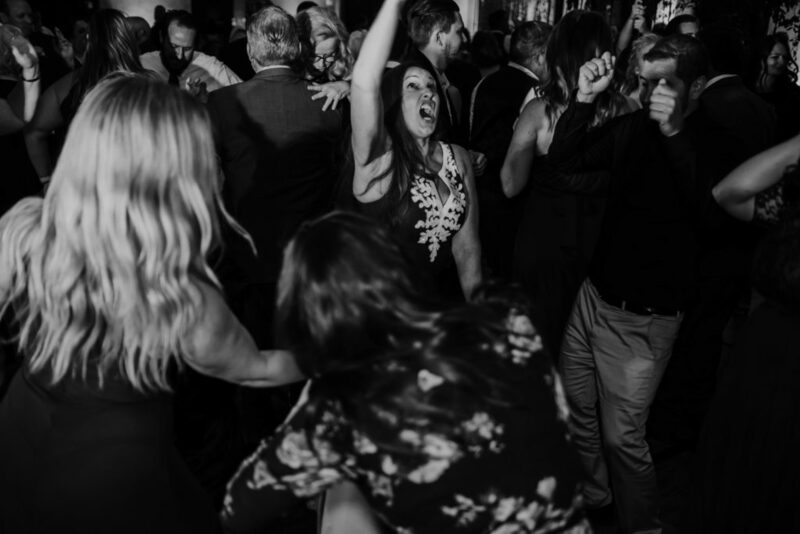 These guests really knew how to have a good time. 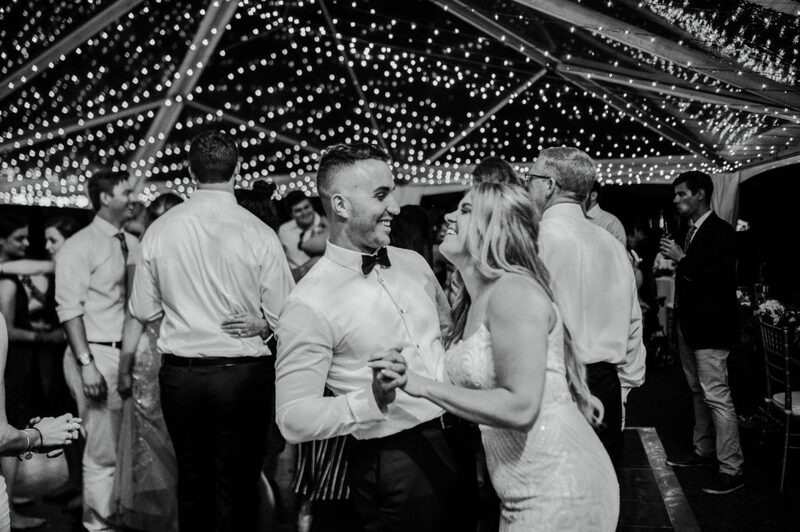 To say these two are the perfect couple for Fyerfly would be an understatement. 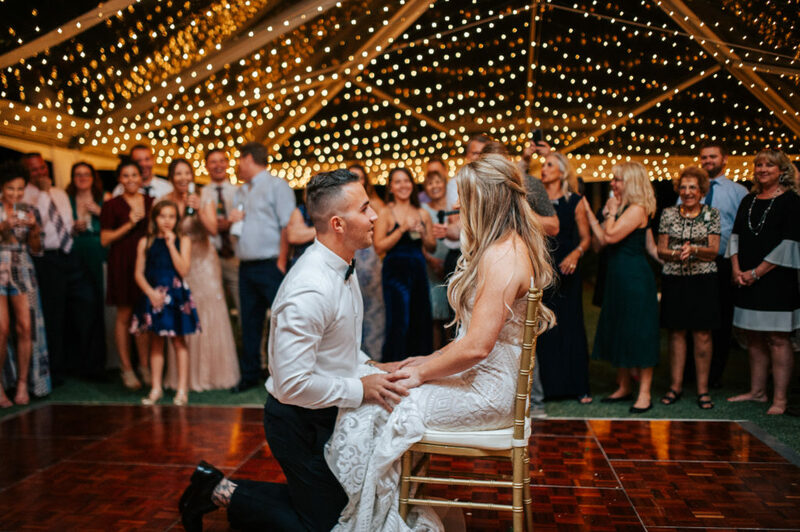 A wedding themed after a musical, come on!! 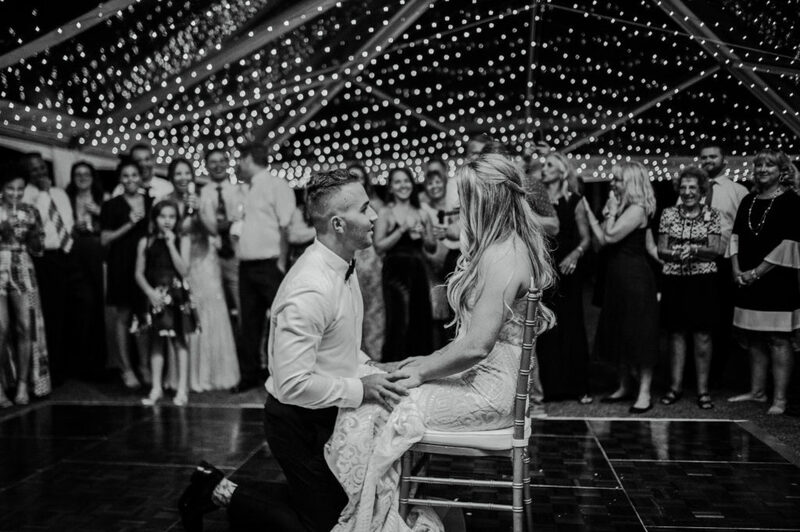 We just loved these two and wish them a life time of happiness and music…. 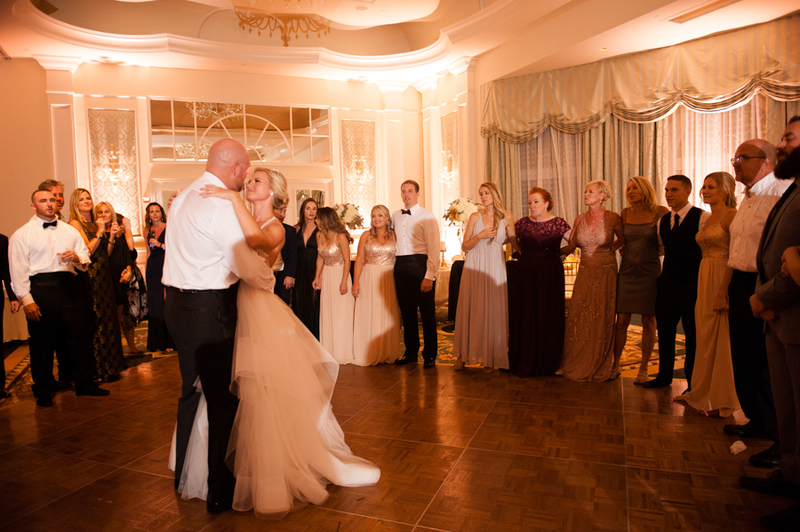 Below are some of our favorite moments. 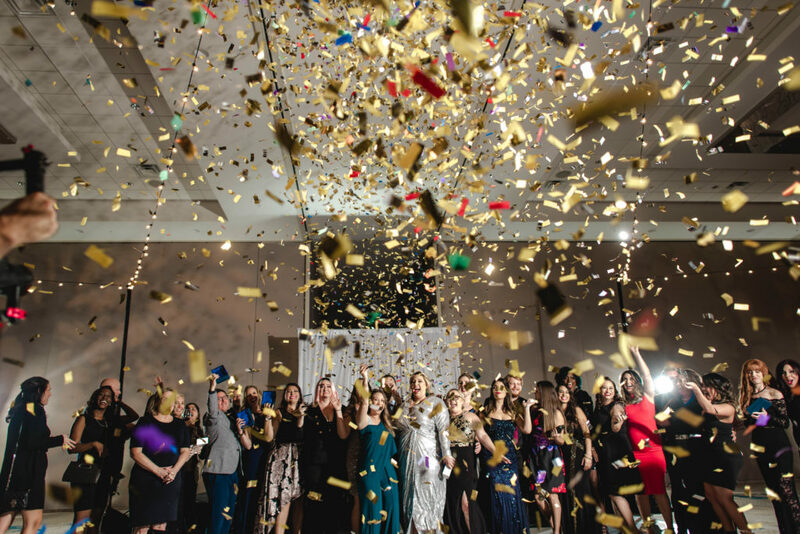 It was an honor to work alongside some of Orlando’s best wedding vendors for the 2018 Vendy Awards. 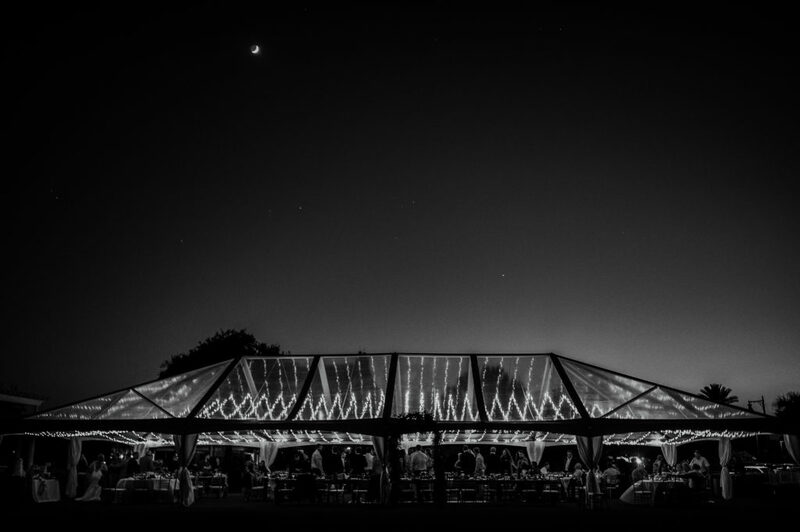 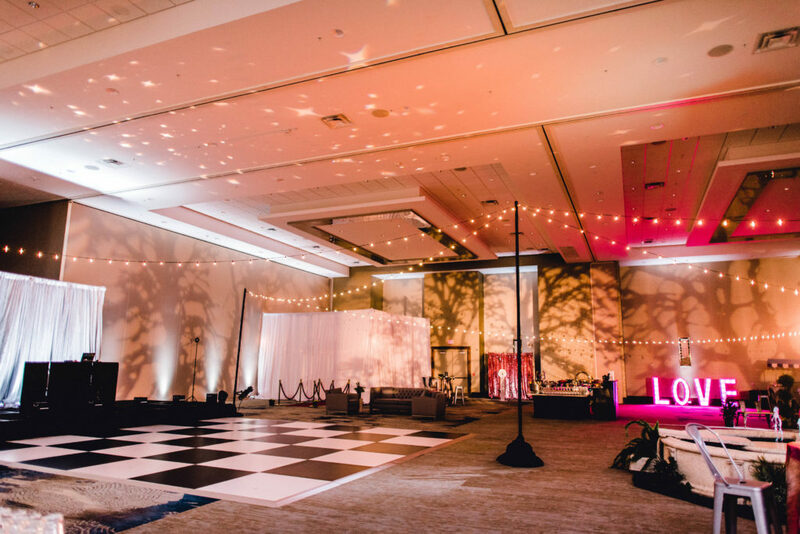 The Vendy Awards highlight the best of the best in the Orlando wedding and event industry. 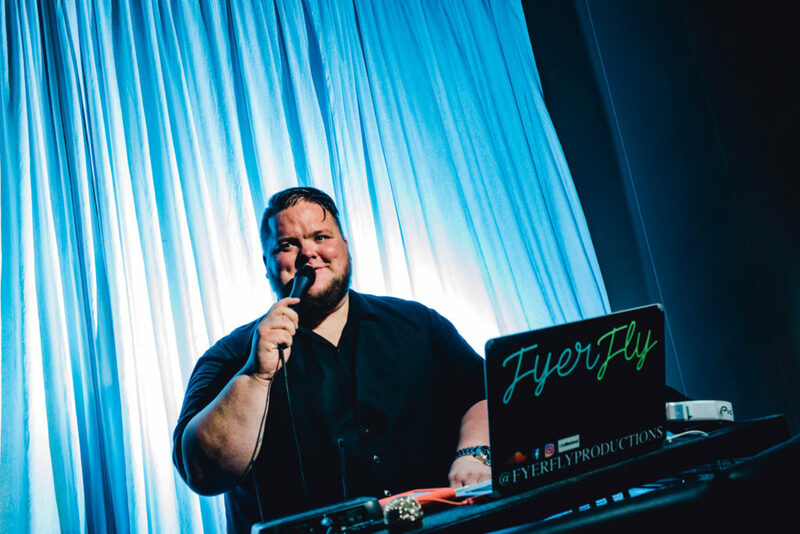 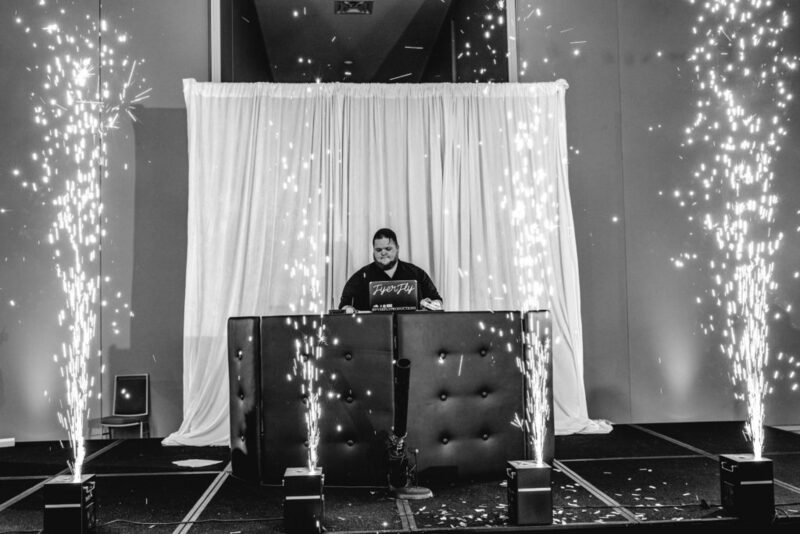 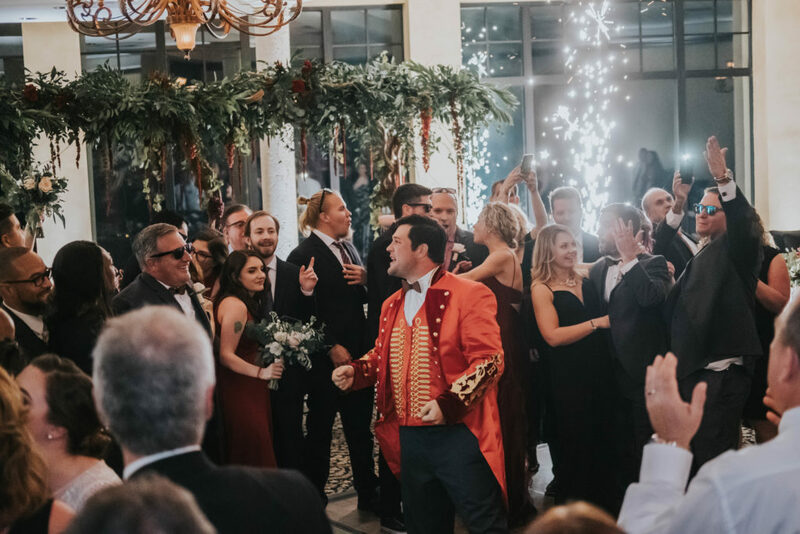 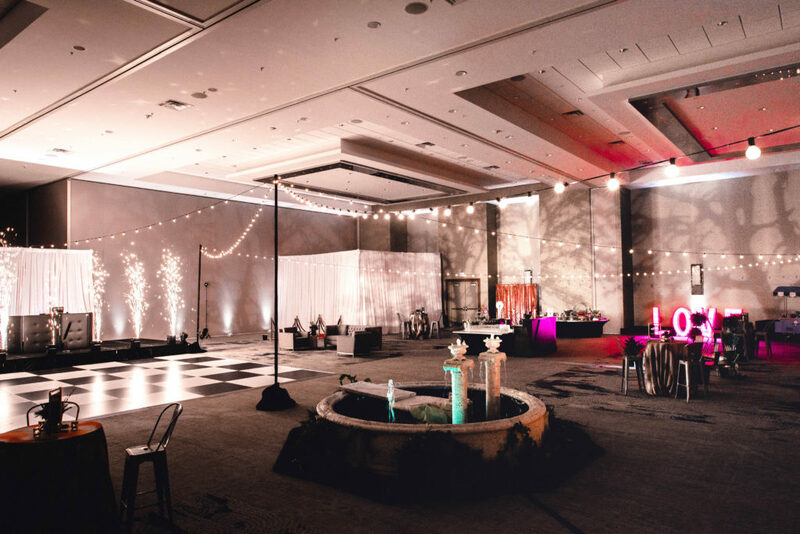 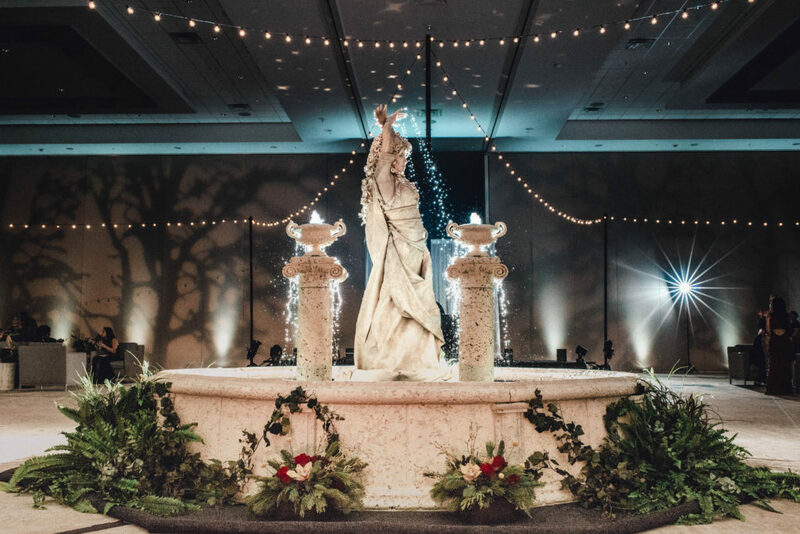 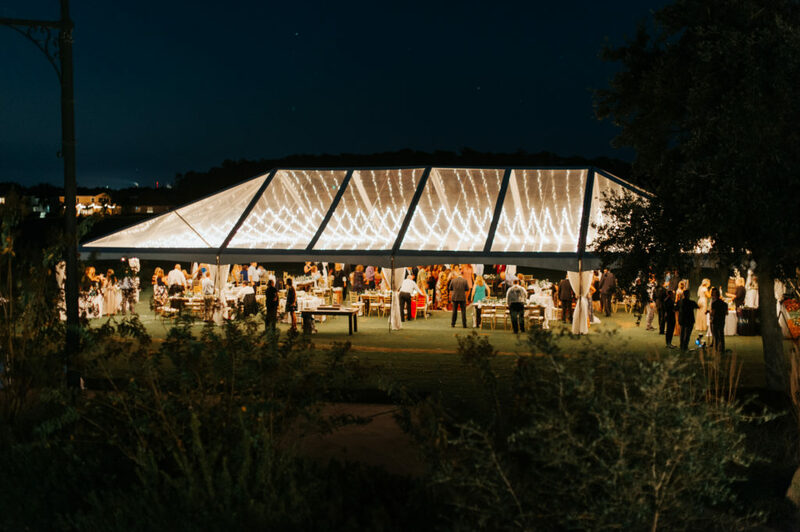 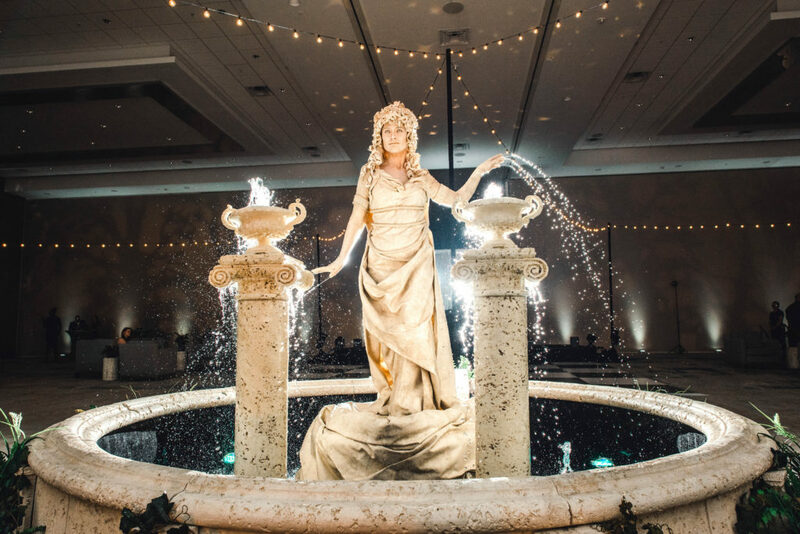 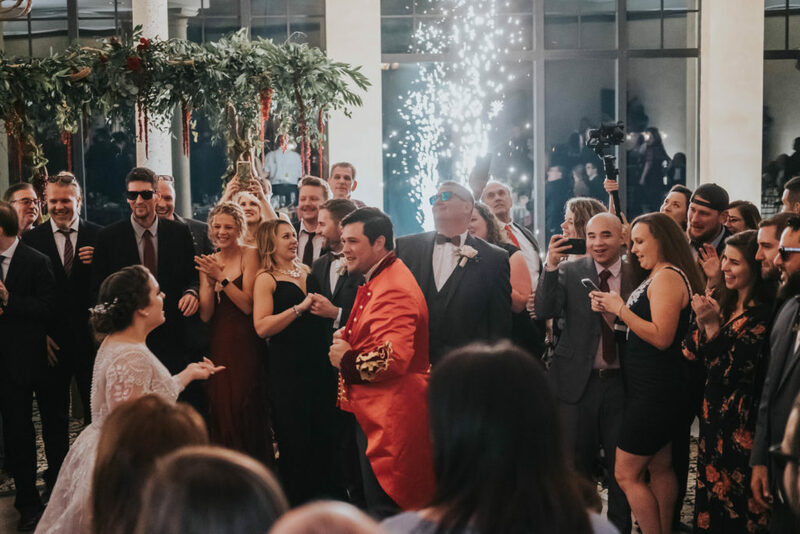 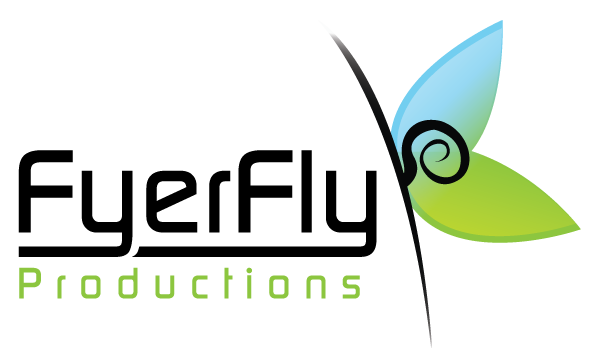 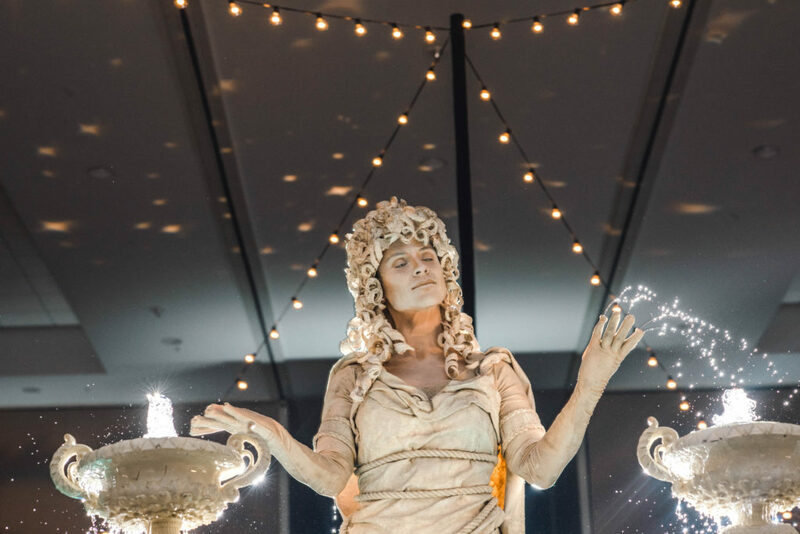 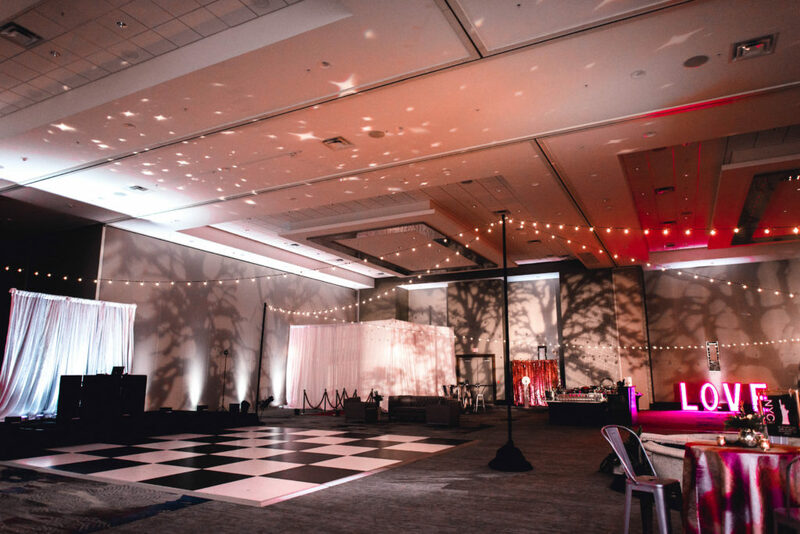 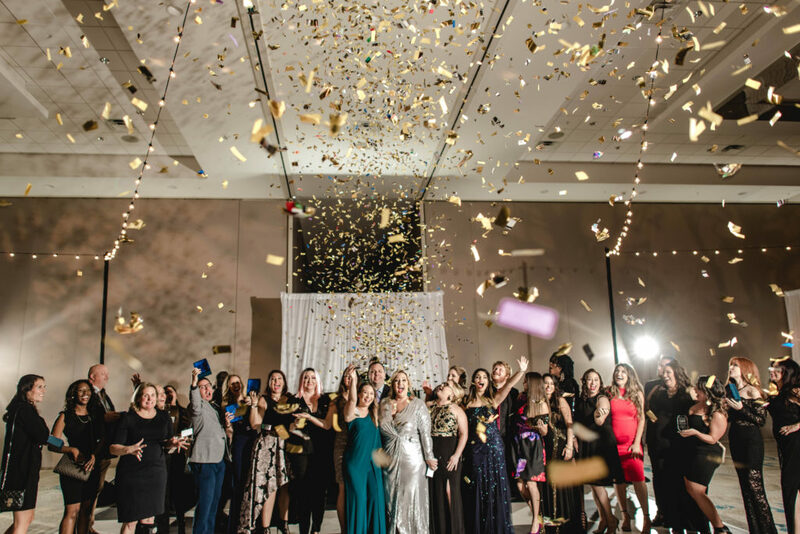 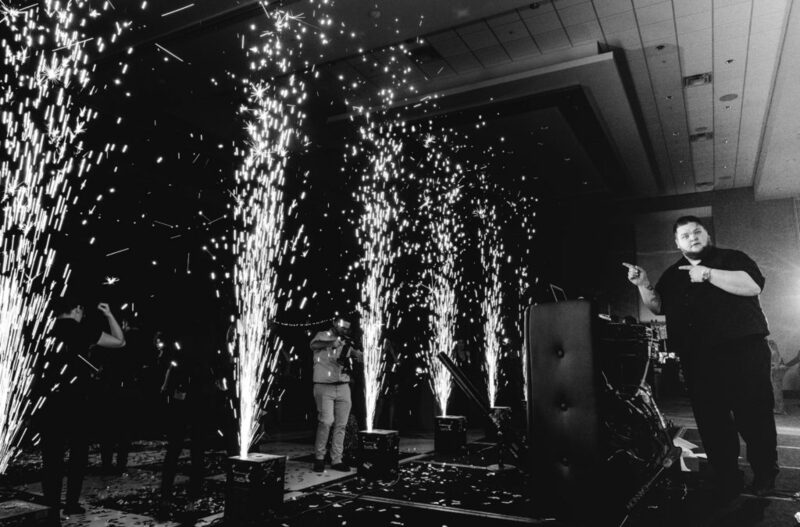 FyerFly Productions provided lighting, textures, confetti, Fyerfly Fountains, and DJ services for this one-of-a-kind event. 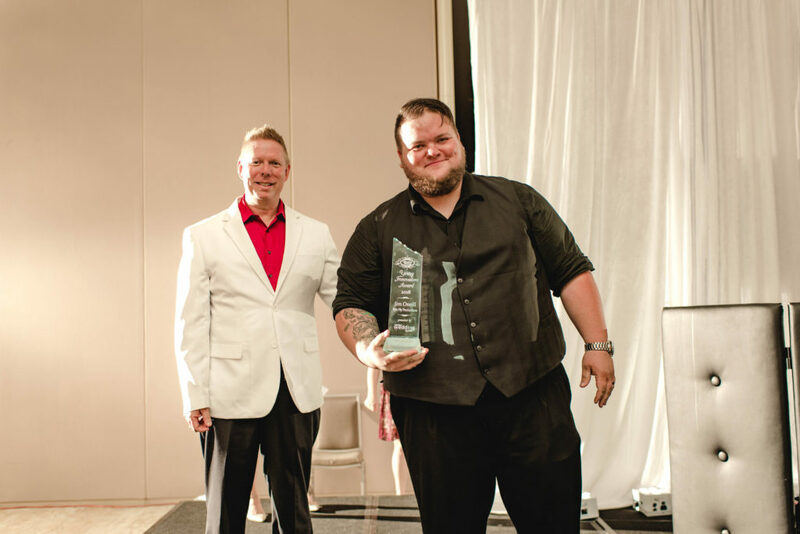 Celebrating our industry and getting to create an amazing environment for our vendor friends to enjoy was a fantastic experience but what made the night truly unforgettable was being able to witness FyerFly Productions owner, James O’Neill, win the Young Innovator Award. 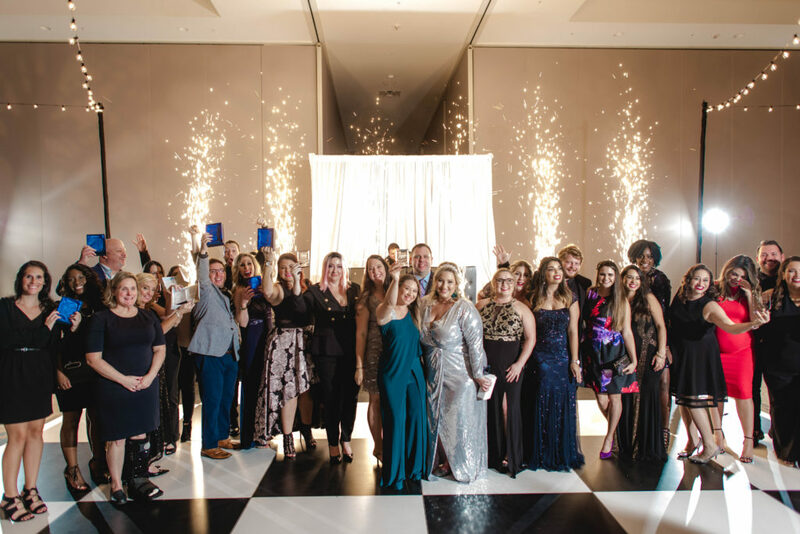 Congratulations to all the other winners! 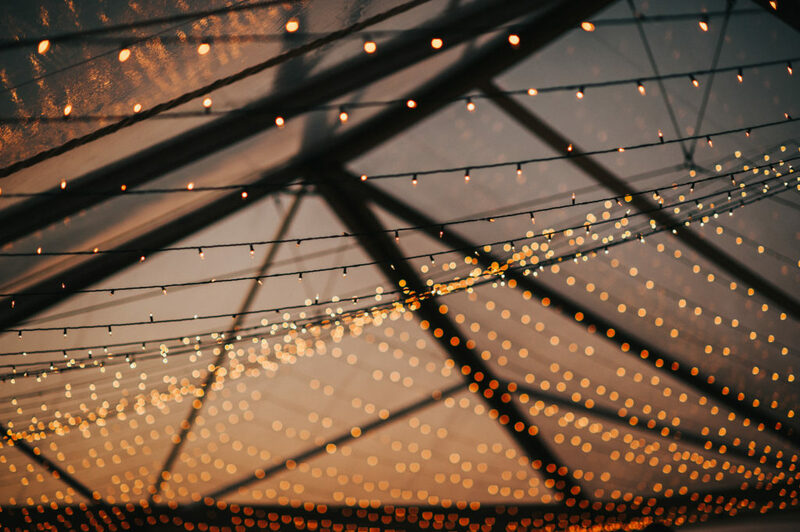 We can’t wait to see you all again next year! 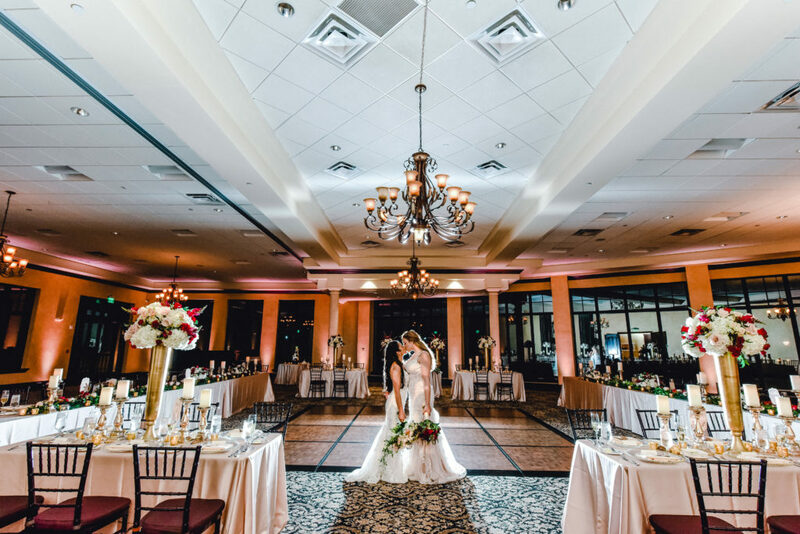 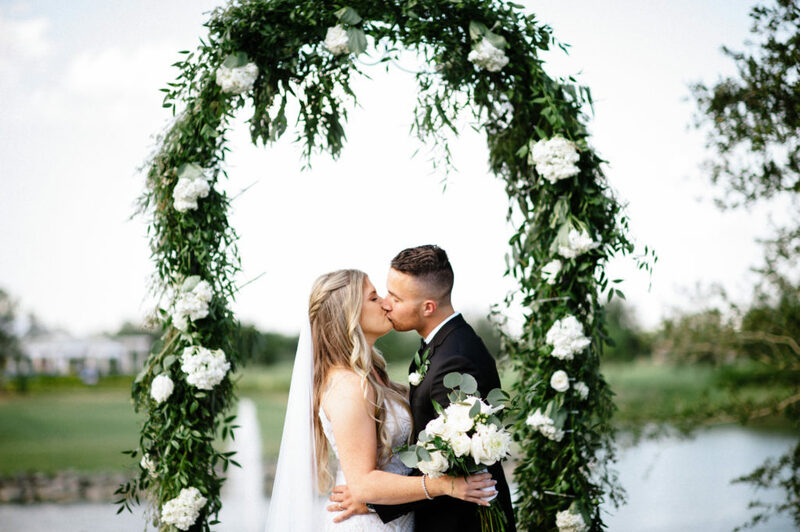 Taylor and Jon met at Flagler college, fell in love, and tied the knot at the absolutely stunning Portofino Bay Hotel in Orlando, Florida. 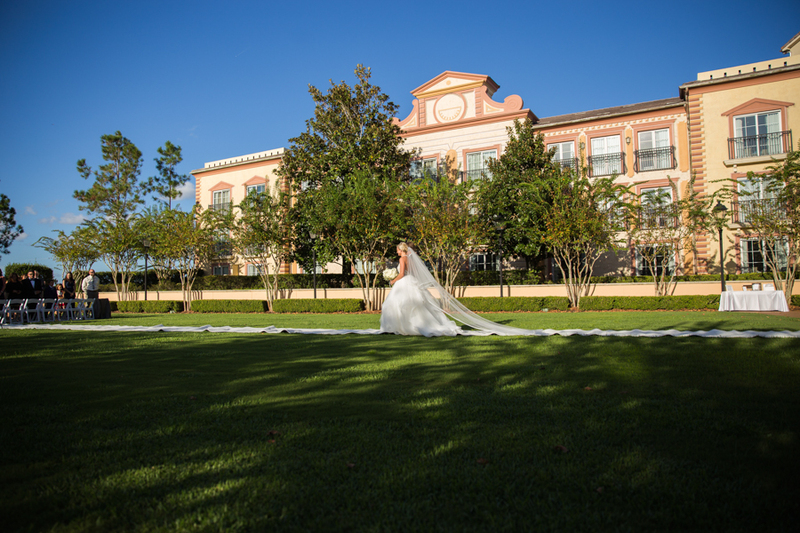 The Portofino Bay Hotel is one of the most beautiful and unique wedding venues in Orlando because it resembles an Italian seaside village. 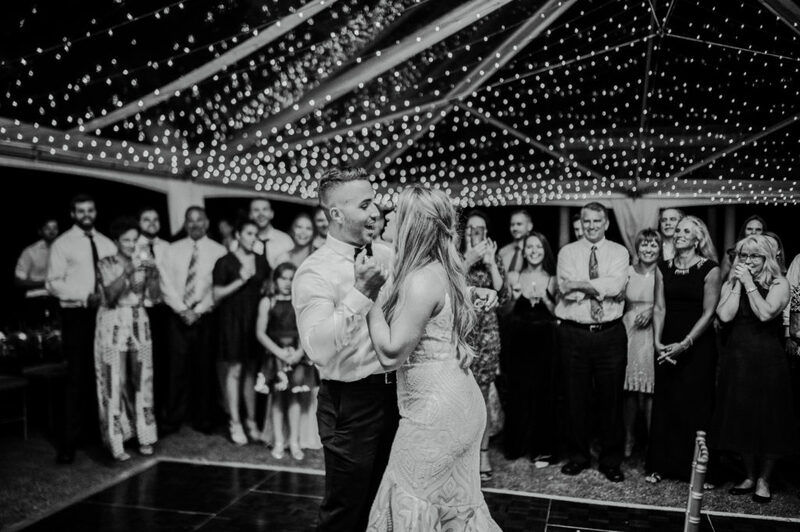 Taylor and Jon said I do while surrounded by friends and family in a heartfelt ceremony. 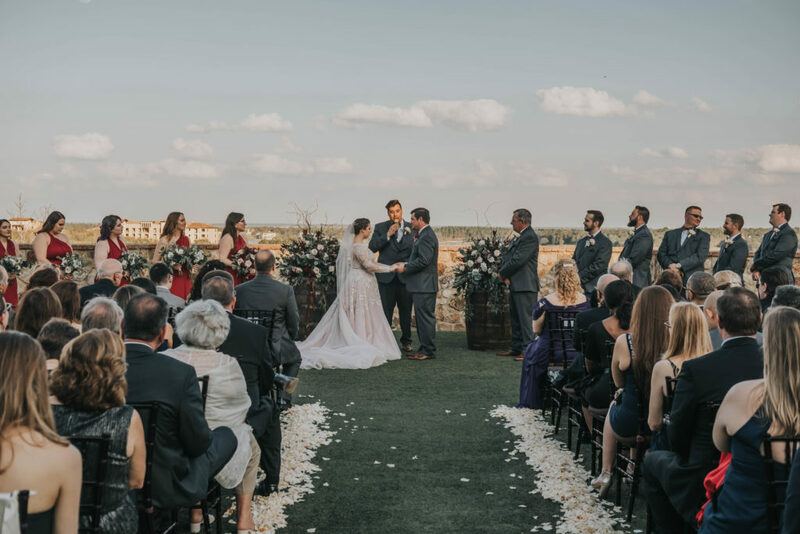 The ceremony was so lovely and Taylor’s wedding gown truly took our breath away. 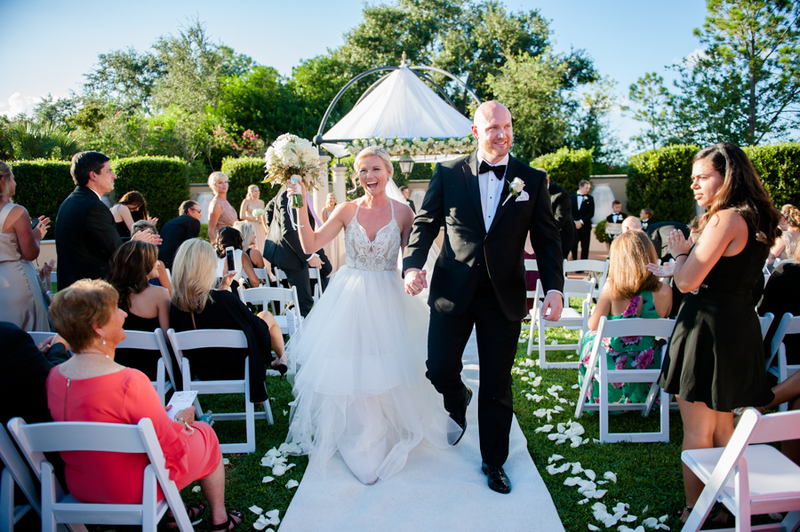 The pure joy they felt was evident as they walked hand in hand down the aisle as husband and wife for the first time. 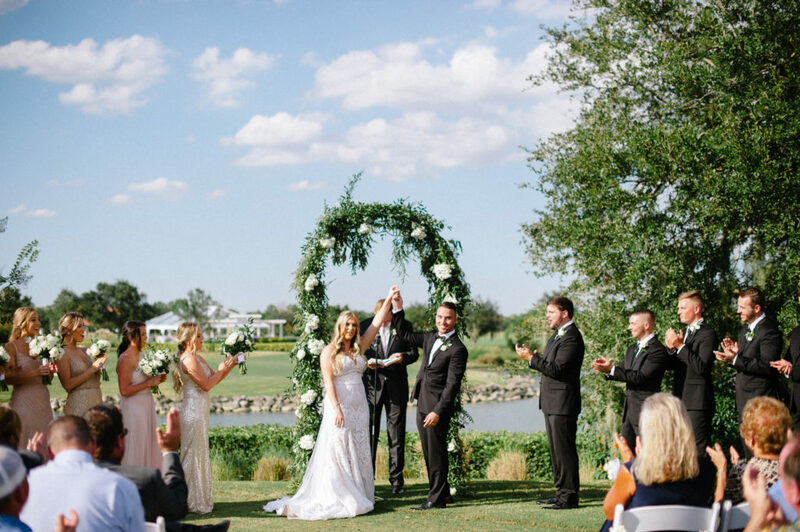 After the ceremony, guests walked through the beautiful grounds to head to the cocktail hour and unforgettable reception. 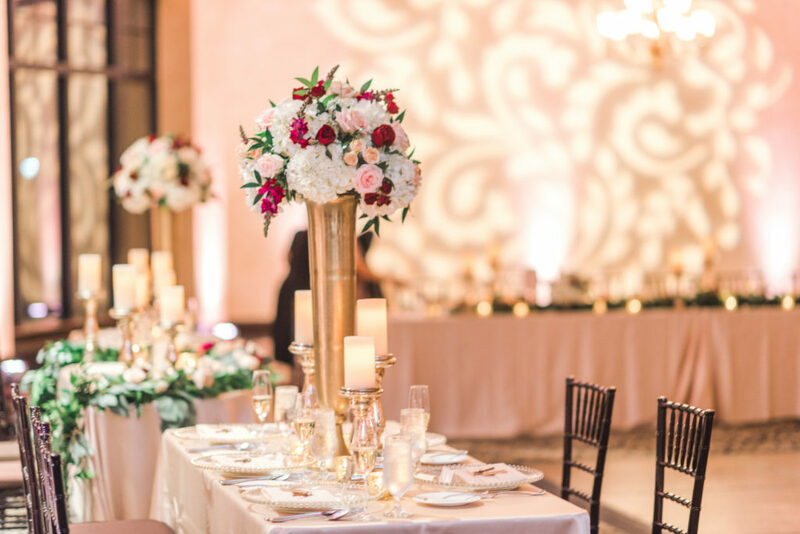 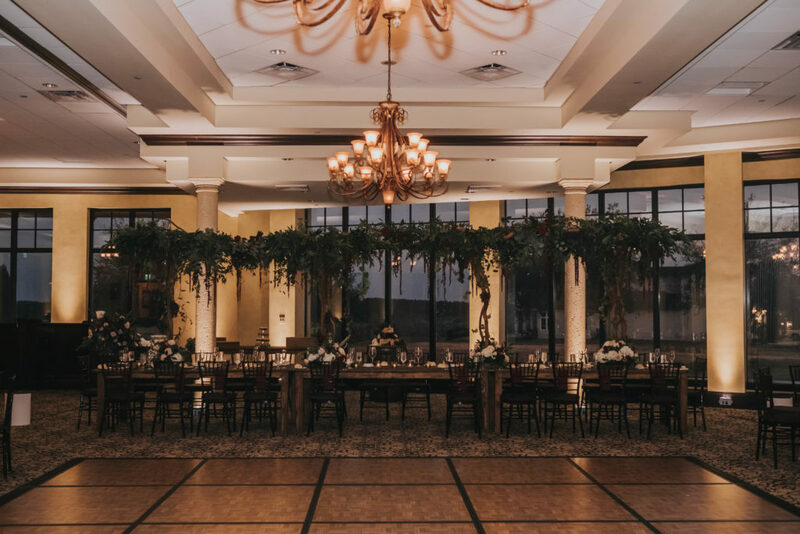 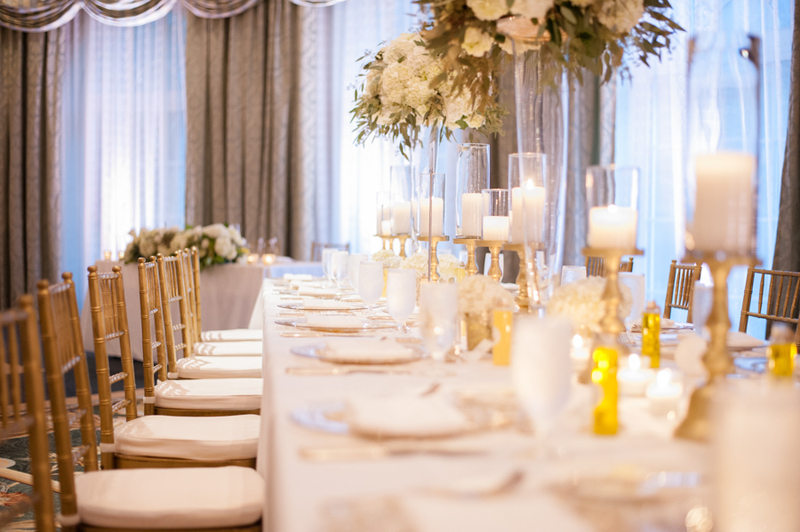 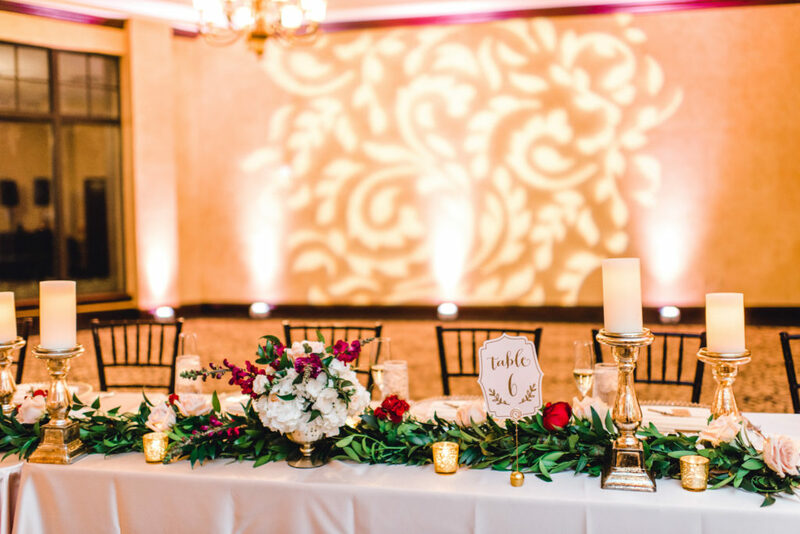 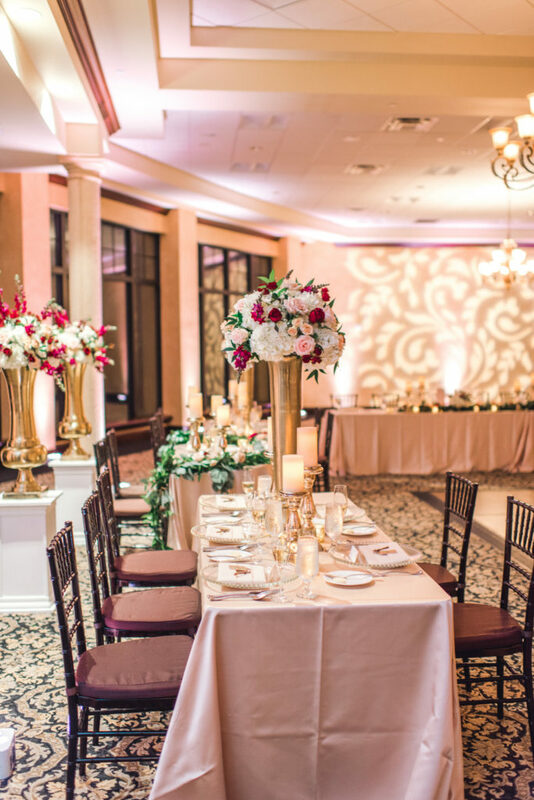 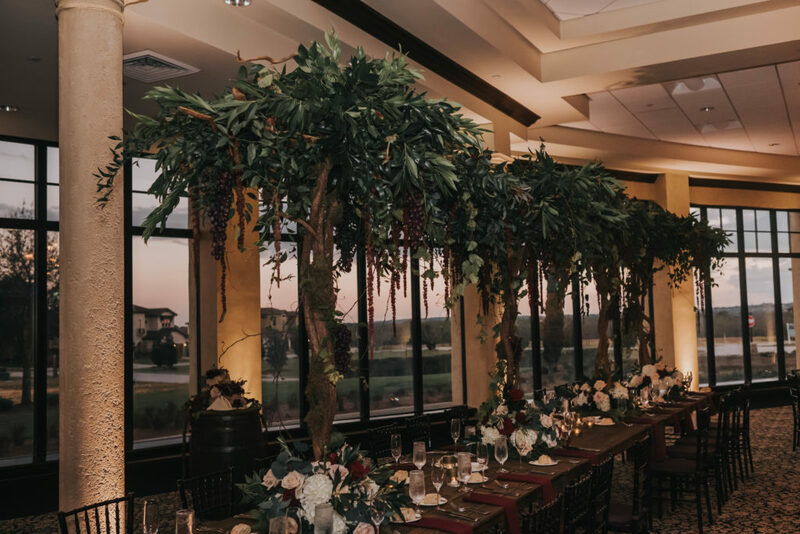 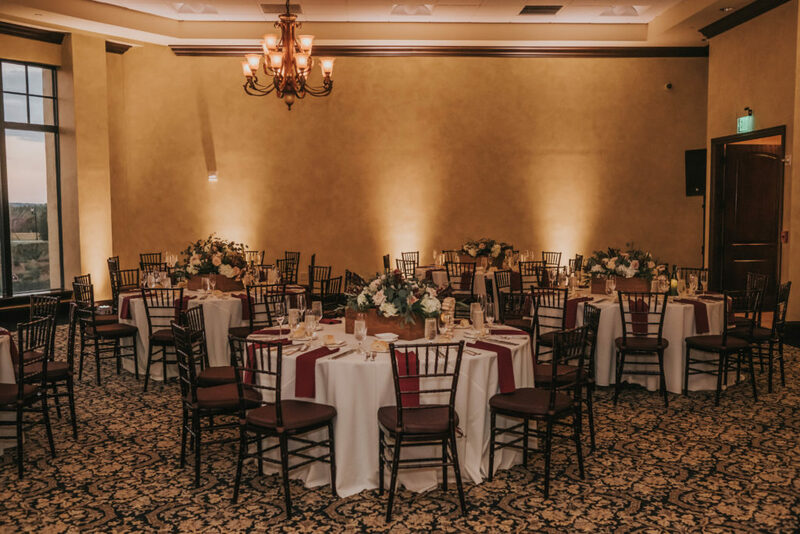 From the lighting to the florals to the centerpieces, every detail was taken into consideration to create a perfect atmosphere. 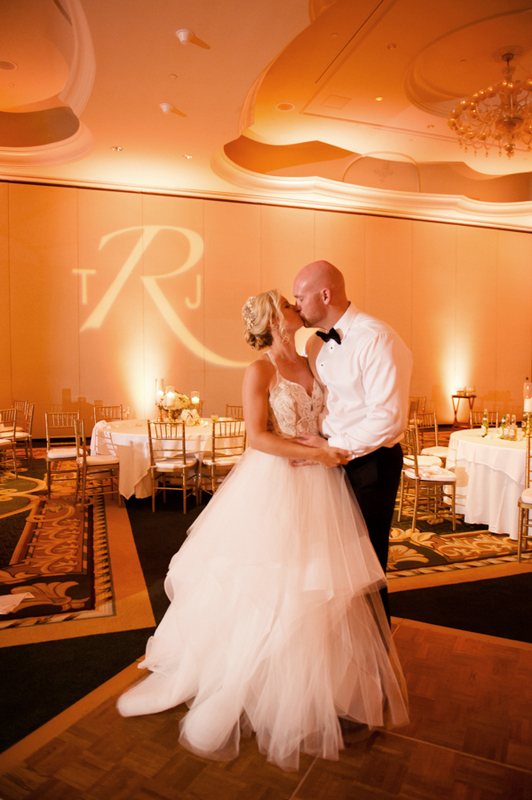 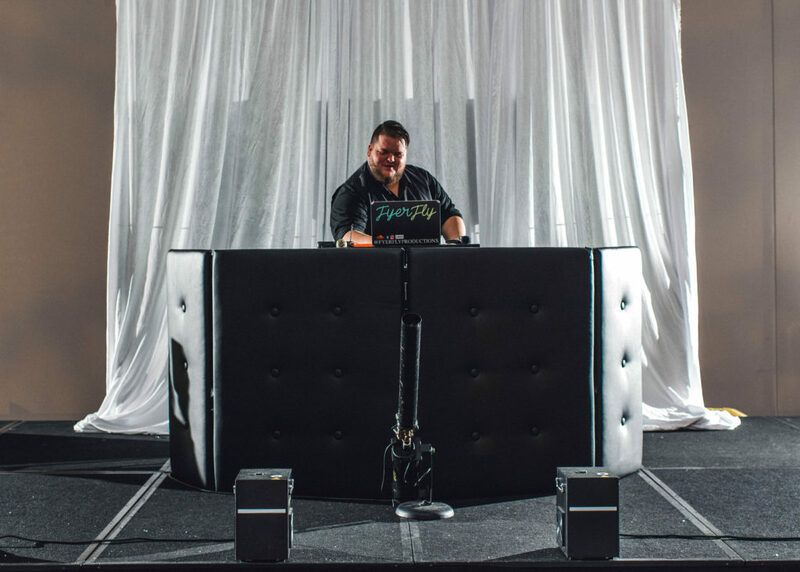 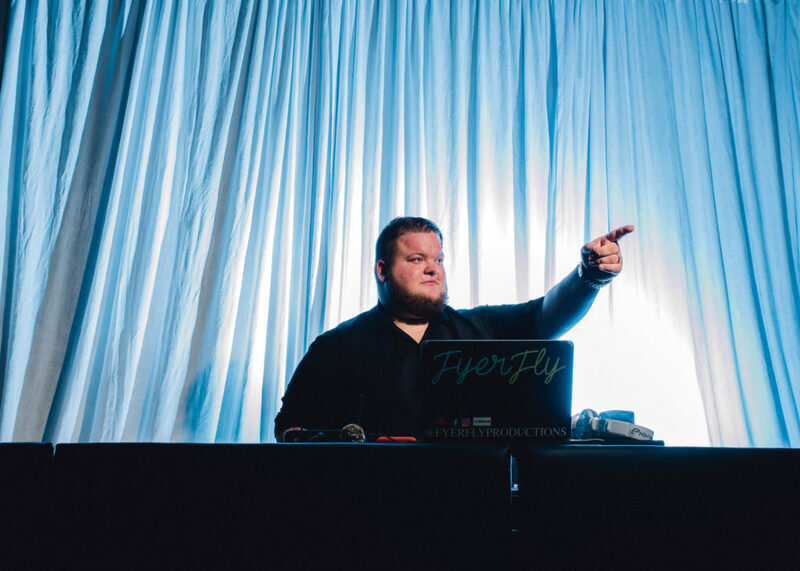 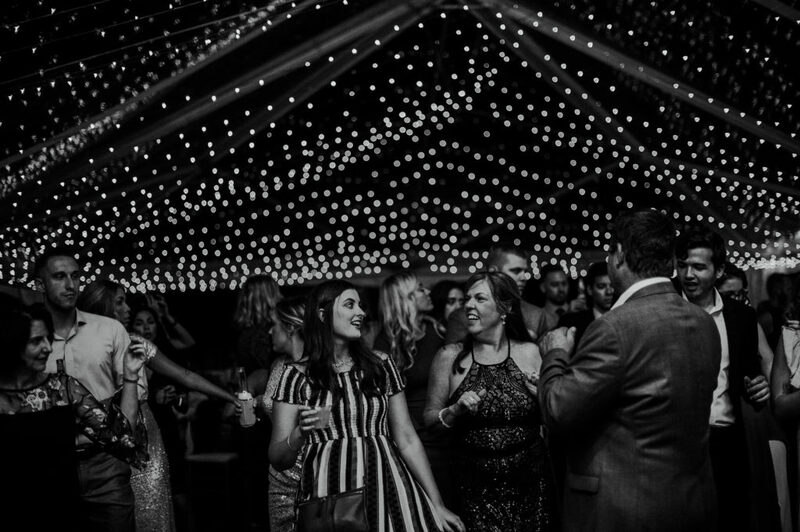 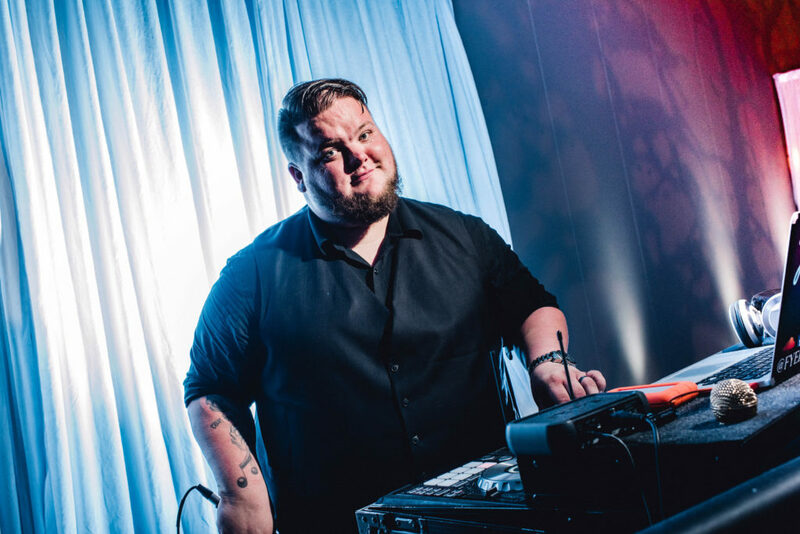 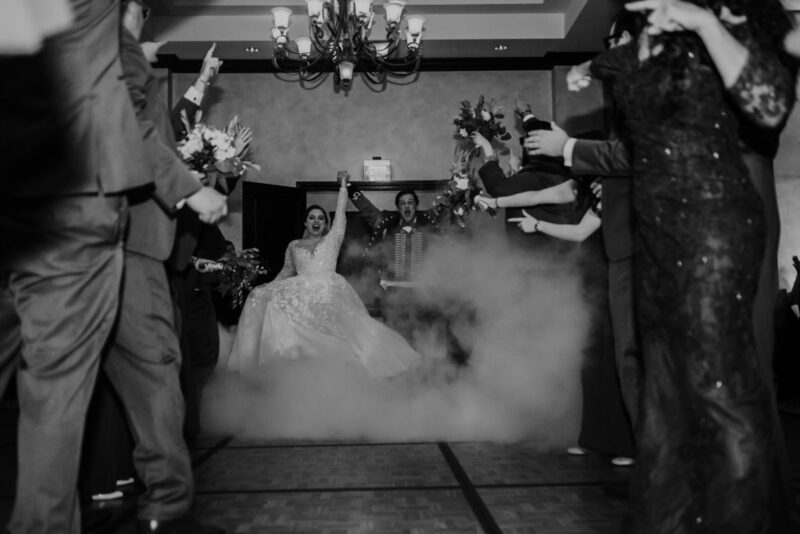 We had such a great time providing both lighting and DJ services for Taylor and Jon’s special day. 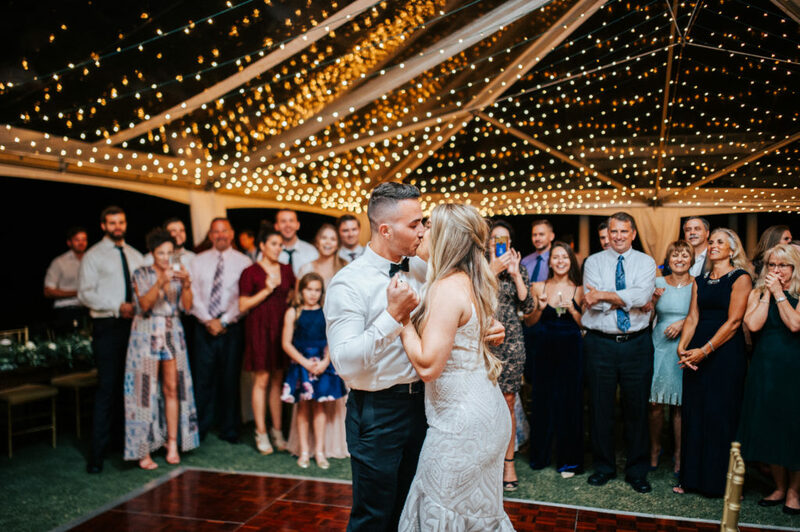 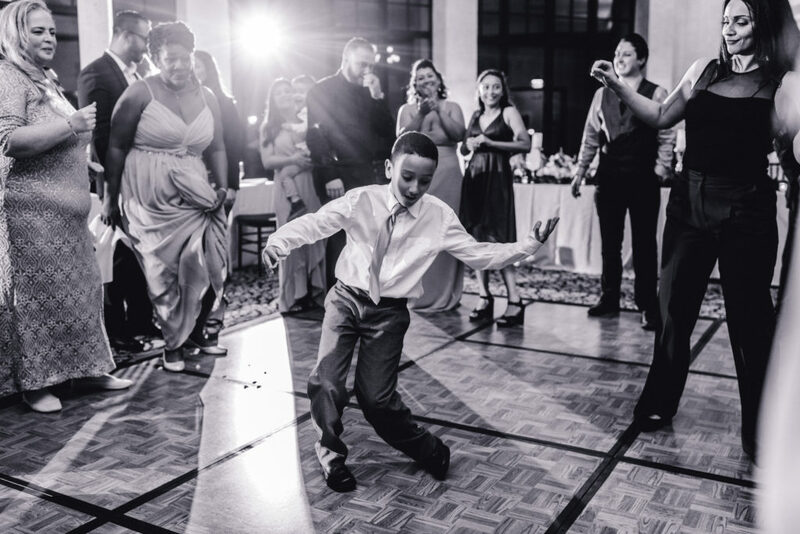 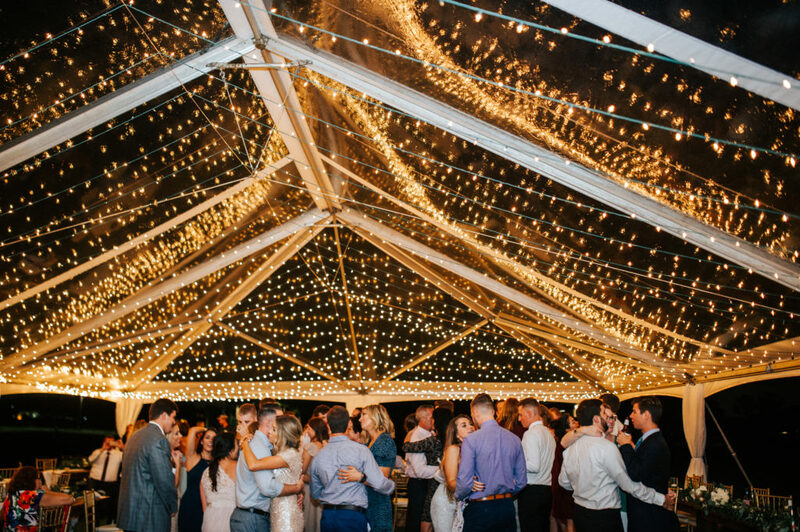 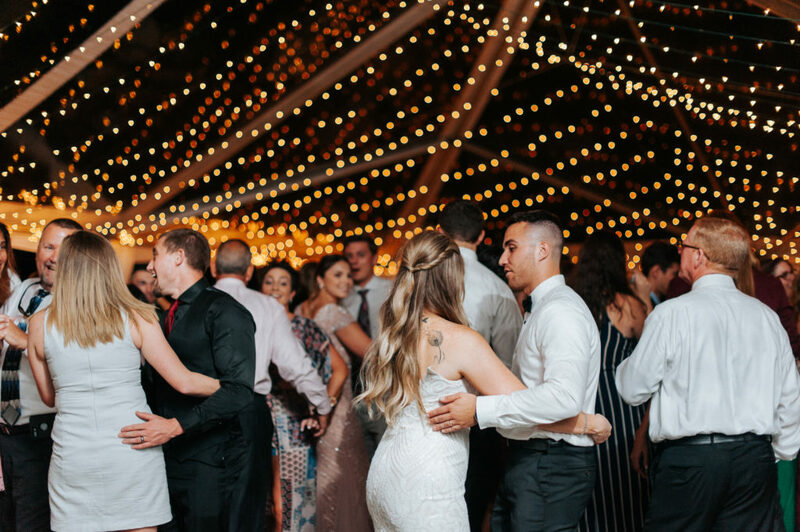 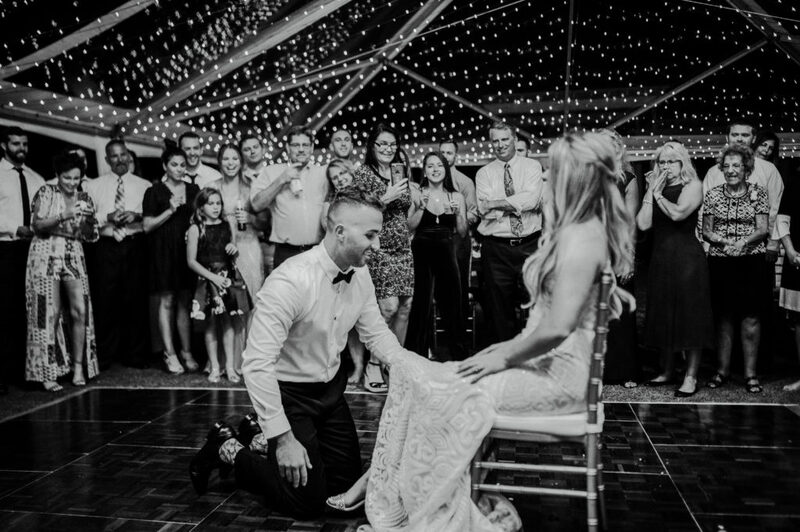 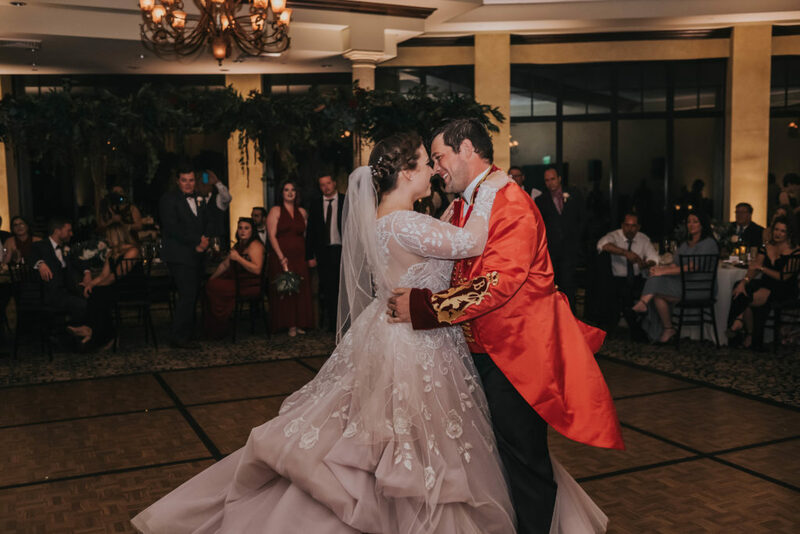 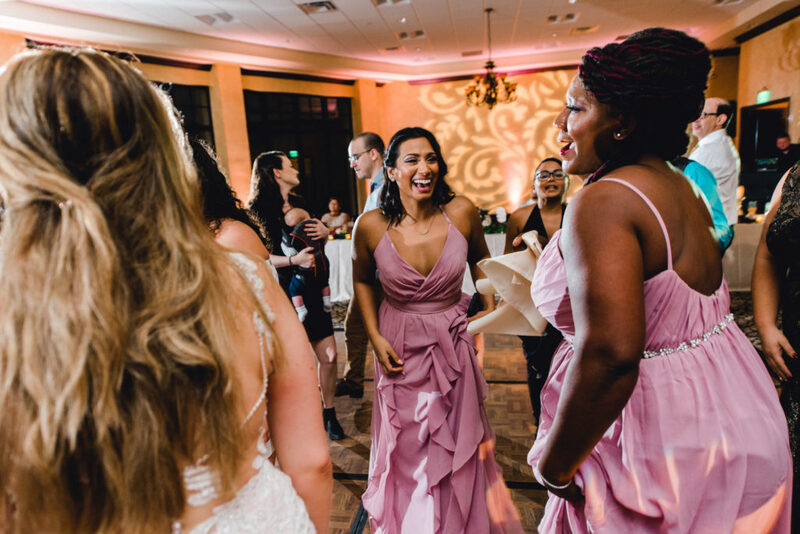 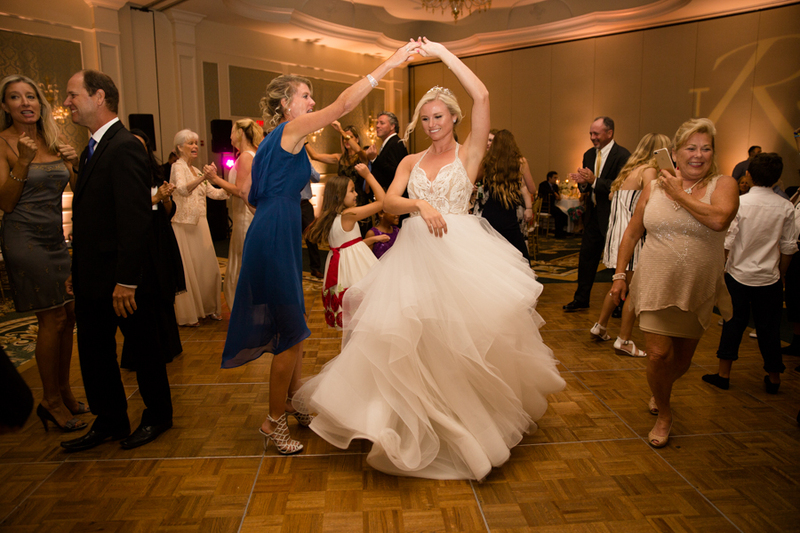 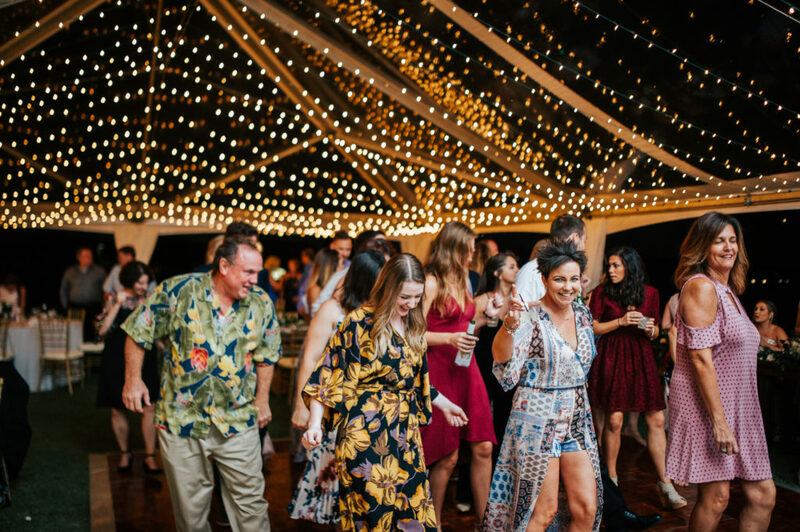 They danced the night away with friends and family in a romantically lit ballroom while we played their all-time favorite songs. 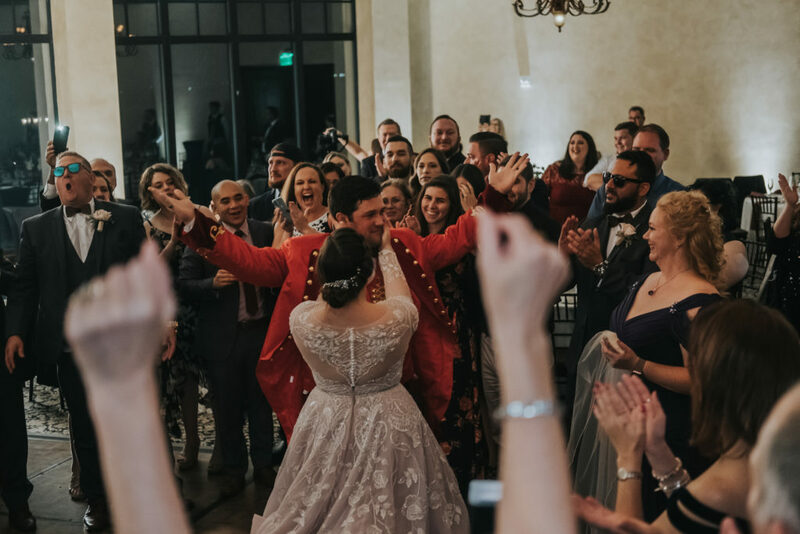 Cheers to the happy couple! 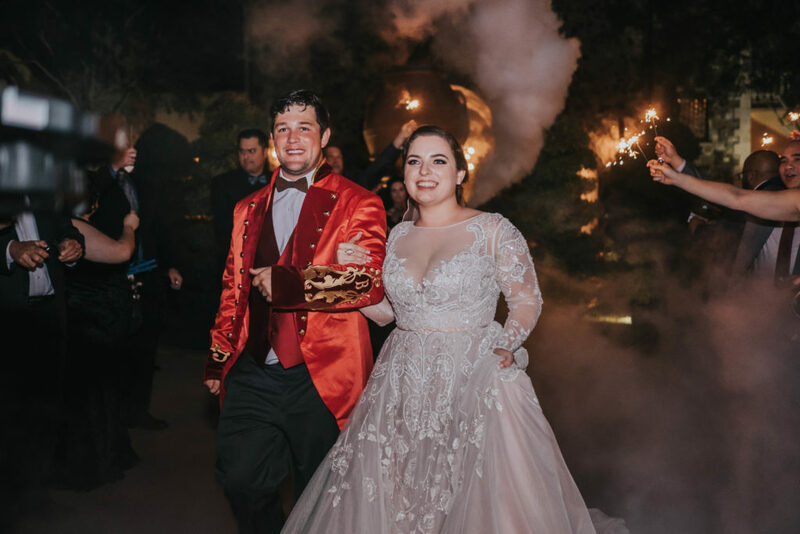 We hope their marriage is every bit as beautiful as Taylor’s absolutely stunning wedding gown.